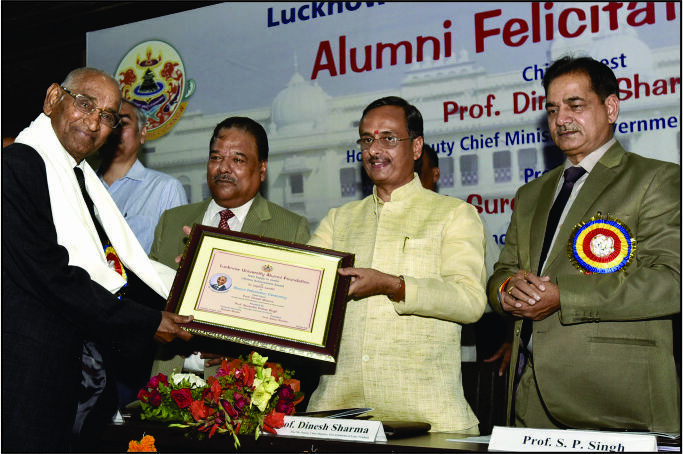 On 28 April, 2018, CMS Founder-Manager, Dr Jagdish Gandhi was awarded the Lifetime Achievement award by the University of Lucknow for his long, dedicated and exemplary services to the noble cause of education. 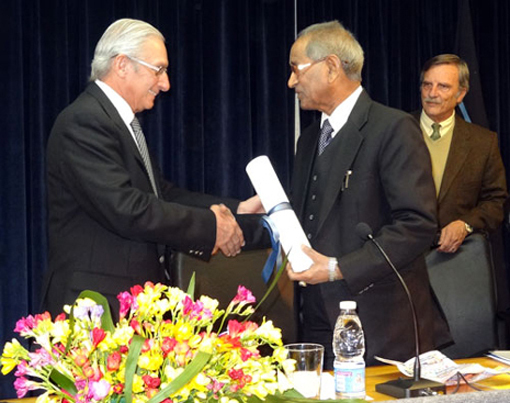 The award was presented by the Deputy Chief Minister of U.P., Dr Dinesh Sharma in the presence of the VC Lucknow University, Prof. S. P. Singh and other dignitaries. 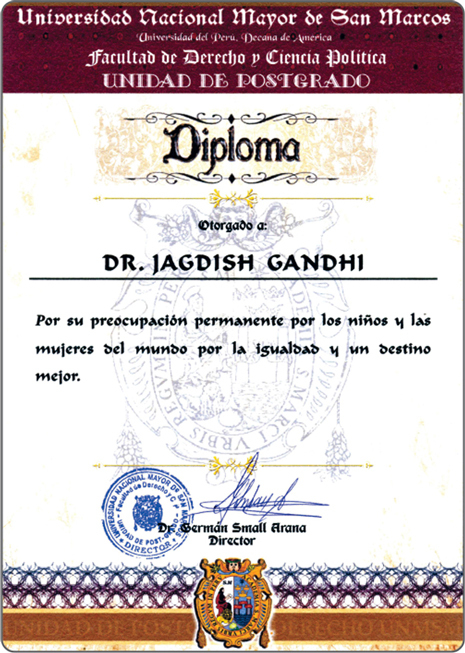 Dr Jagdish Gandhi was the elected President of Students’ Union at the University of Lucknow in 1959. 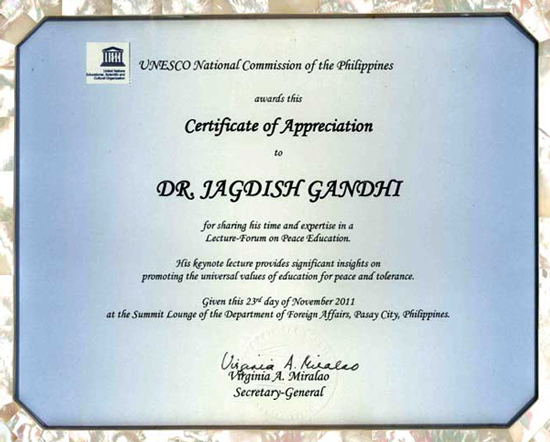 He was an exemplary student and became a world class leader who rose from humble beginnings to become a renowned educationist and Founder of the world’s largest school recognized by the Guinness Book of World Records with over 55,000 students on its rolls and received the 2002 UNESCO Prize for Peace Education. 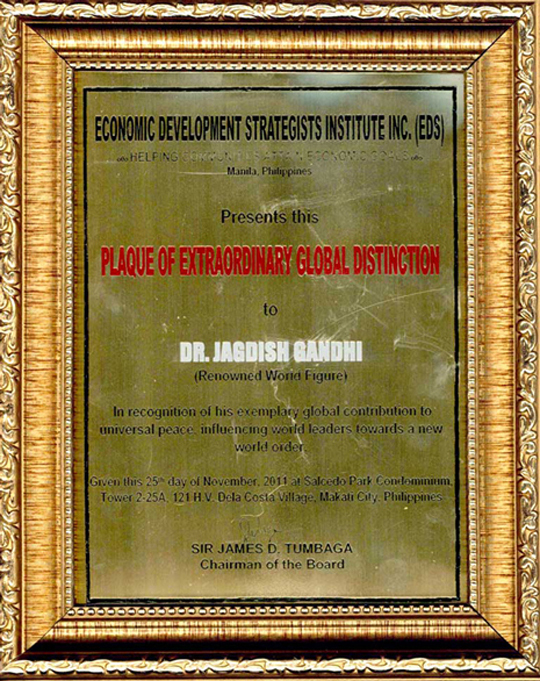 Dr Jagdish Gandhi, Founder-Manager of CMS was honoured with the Lifetime Achievement Award by the Education World Magazine on 23 September 2017 at The Leela Hotel in Gurugram. 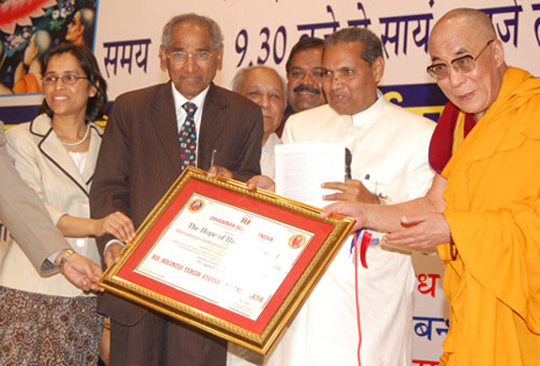 At this function, India's top 200 schools out of the country's total 14 lakh schools were honoured for giving quality education. 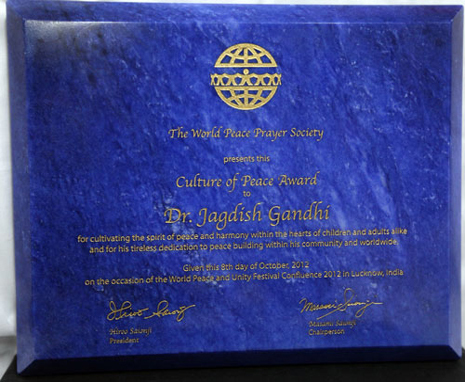 Several other prominent personalities were also present at the function at which Dr Gandhi's detailed citation was read to rapturous applause and a standing ovation. 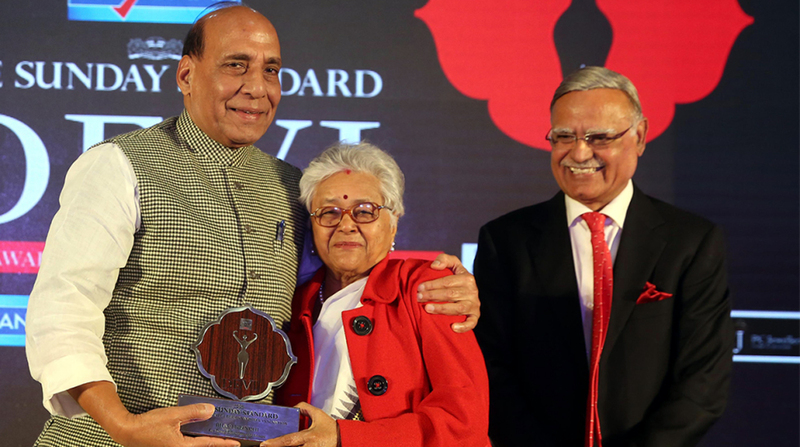 CMS Founder-Director Dr Bharti Gandhi was honoured with 'Devi Award' by the Home Minister, Hon'ble Mr Rajnath Singh at a grand felicitation function held under the aegis of The Sunday Standard of New Indian Express Newspaper. 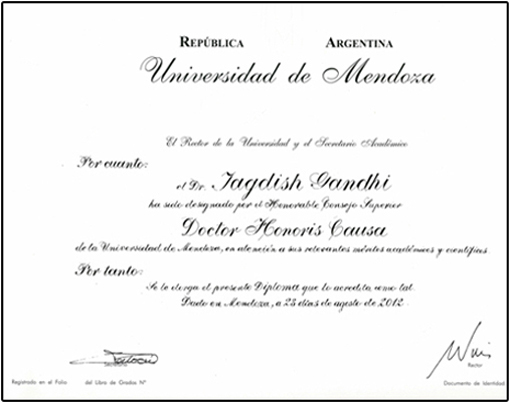 Union Home Minister, Hon'ble Mr Rajnath Singh presented a memento and a certificate to Dr Bharti Gandhi for unparalleled contributions to education and women’s empowerment. 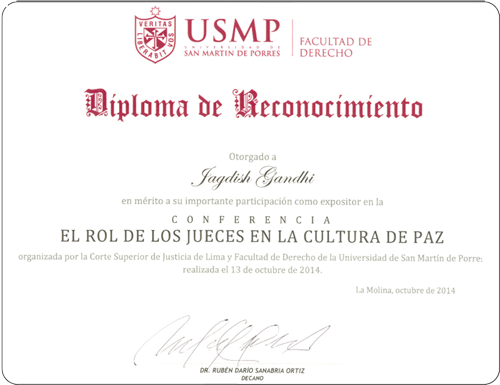 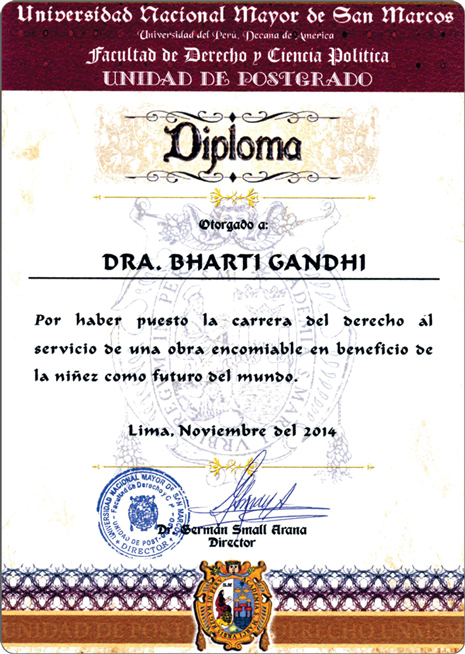 Dr Jagdish Gandhi, Founder of City Montessori School was conferred with the prestigious Honorary Doctorate Degree by Inca Garcilaso University in Peru on 15 October 2014 in recognition of his 55 years of continuous efforts in the direction of World Unity and World Peace at global level. 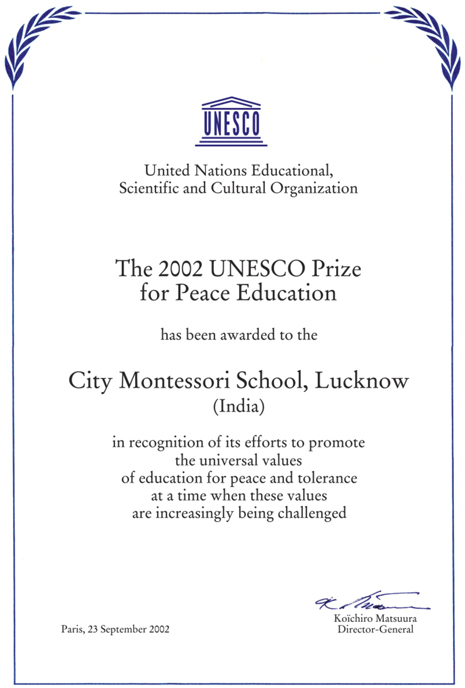 As per the India School Rankings 2012 released in the September issue of the Education World magazine, CMS has scored the maximum of 89 points in 'internationalism,' which is one of the 14 parameters of excellence on which the survey was conducted to list the country's top schools. 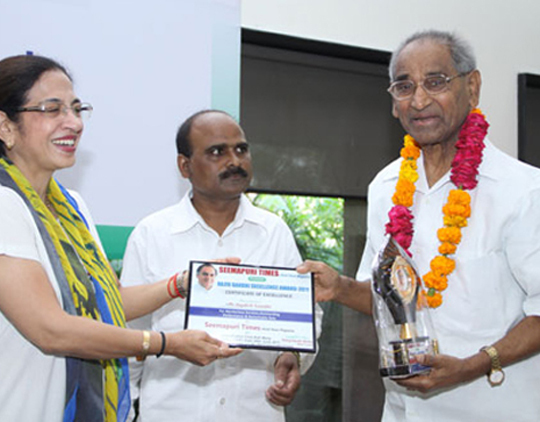 According to the Chief Editor of Education World Mr Dilip Thakore, internationalism as a parameter to judge schools' performance was introduced to impact the importance of promoting a broad-minded globalism among students in an incrementally globalising world. 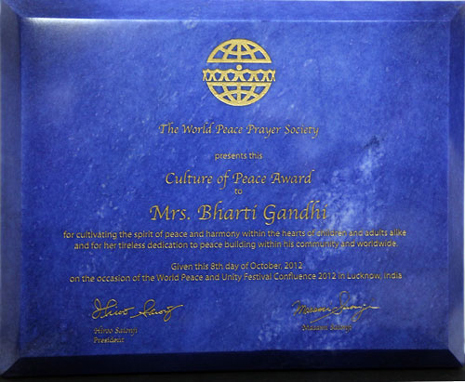 For this achievement, CMS was awarded a Special Merit Award at the Education World India Schools Ranking Awards ceremony held in New Delhi on 29 September 2012. 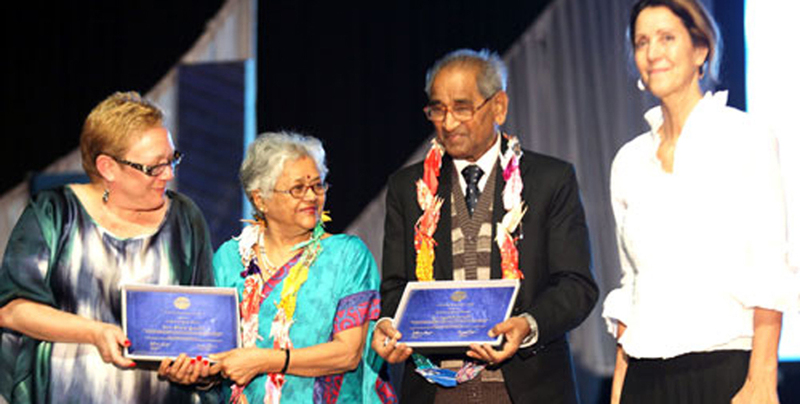 President and Chief Operating Officer of CMS, Prof Geeta Kingdon and Head of CMS Quality Assurance and Innovation Department, Mrs Susmita Basu received the honour on behalf of the school. 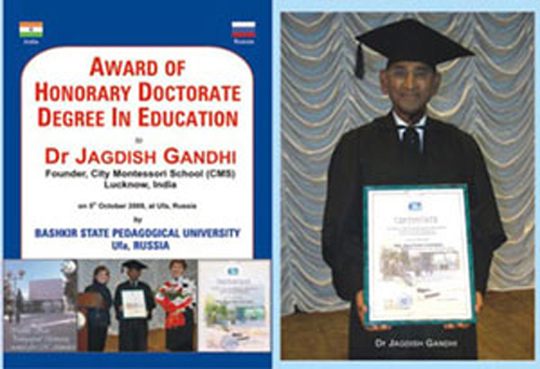 Honorary Doctorate Degree in Education 2009 by Bashkir State Pedagogical University, Ufa, Russia, was awarded to Mr Jagdish Gandhi in recognition of his efforts spanning over 50 years towards ‘Creating a World Fit for Children and Generations Yet-to-be born’. 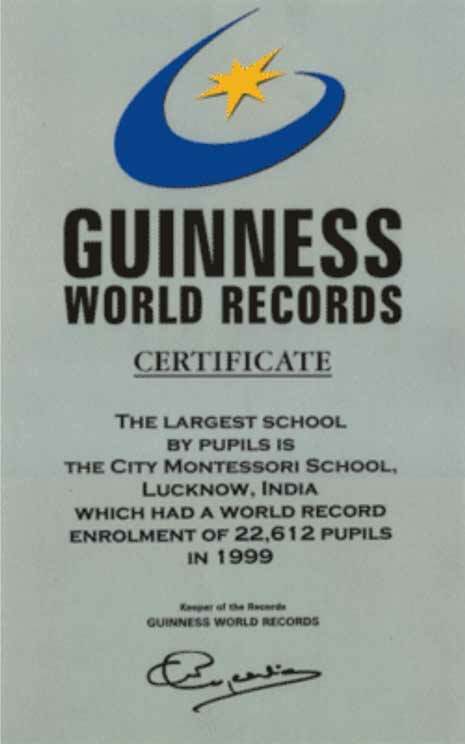 CMS received this Guinness Award in 1999. 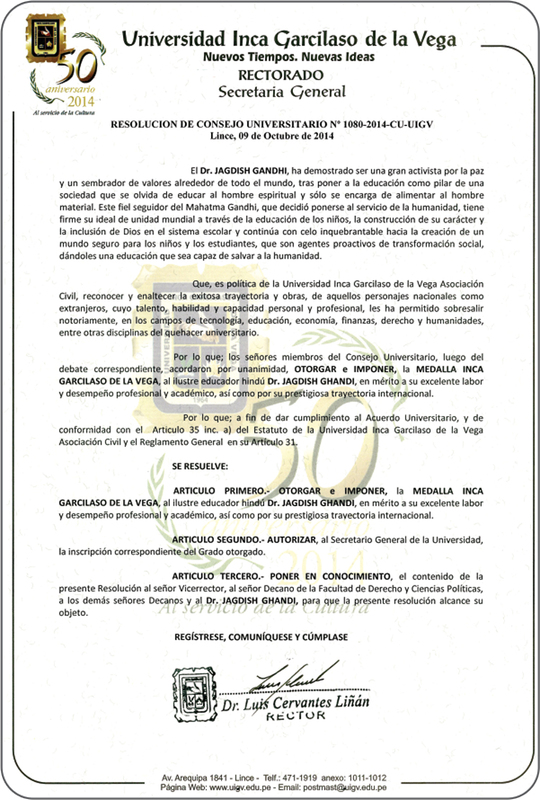 Since then it has continued to break its own record over the years. 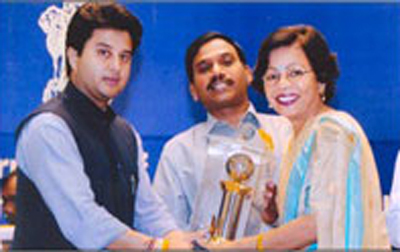 Computer Literacy Excellence Award 2008 was handed over to CMS Kanpur Road Campus by Mr Jyotiraditya Mahavrao Scindia, Minister of State in the Ministry of Communications and IT at the All India Prize Distribution Ceremony held at Vigyan Bhawan, New Delhi. 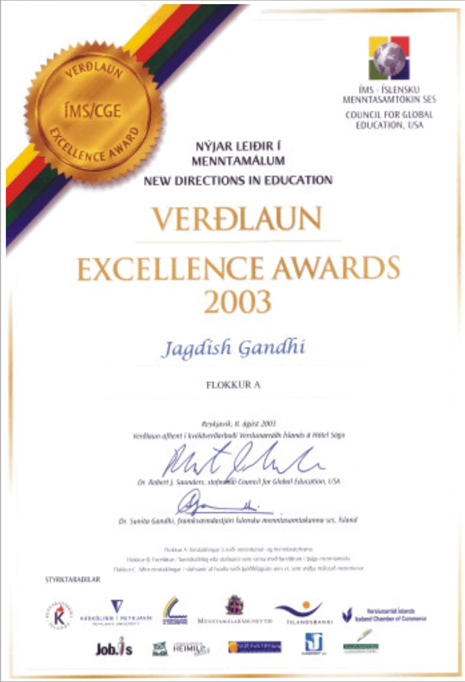 The Bandaranaika Global Excellence Award 2007 was awarded to Dr Jagdish Gandhi for his outstanding and par excellence contribution to quality movement the world over including Sri Lanka. 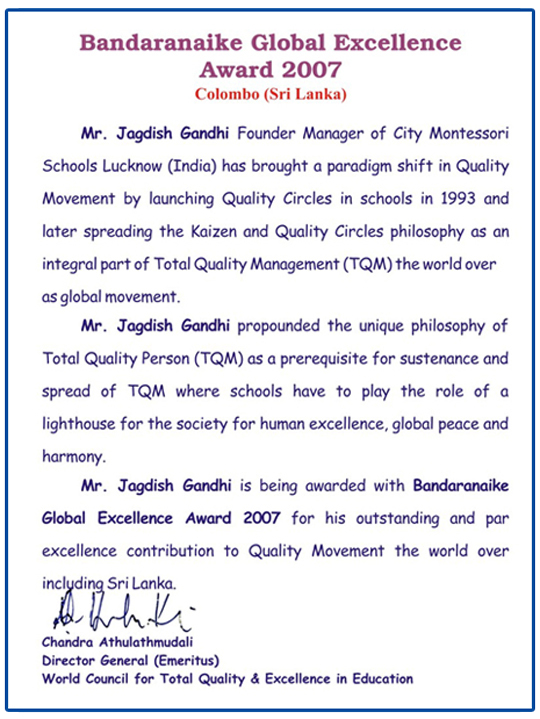 Dr Gandhi has been instrumental in bringing about a paradigm shift in quality movement by launching Quality Circles in Schools in 1993 and later spreading the philosophy of Kaizen and quality circles as an integral part of total quality management (TQM) and for creating a worldwide movement for global quality in education. 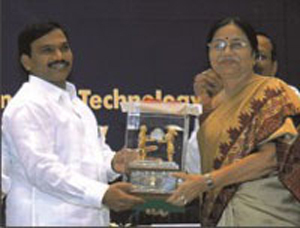 Computer Literacy Excellence Award 2005 was given to CMS Aliganj Campus by Hon Mr A Raja, Union Minister For Information Technology, Government of India, and received by Mrs Gauri Khanna, Principal. 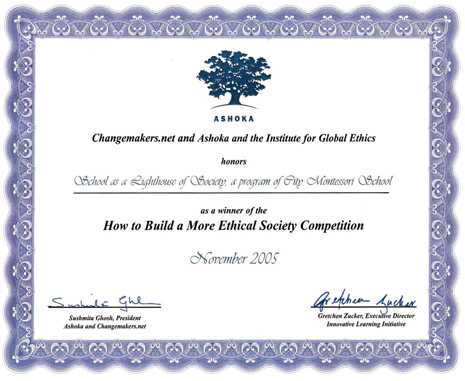 Ashoka Changemakers Innovation Award 2005 was given to CMS for being an exemplary school and a role model to the world. 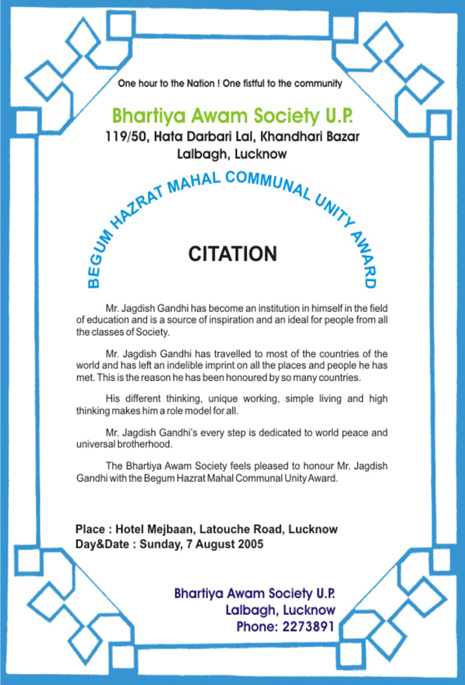 Bhartiya Awam Society UP Award 2005 was given to CMS by Bhartiya Awam Society UP for its unique working and dedication to world peace and universal brotherhood. 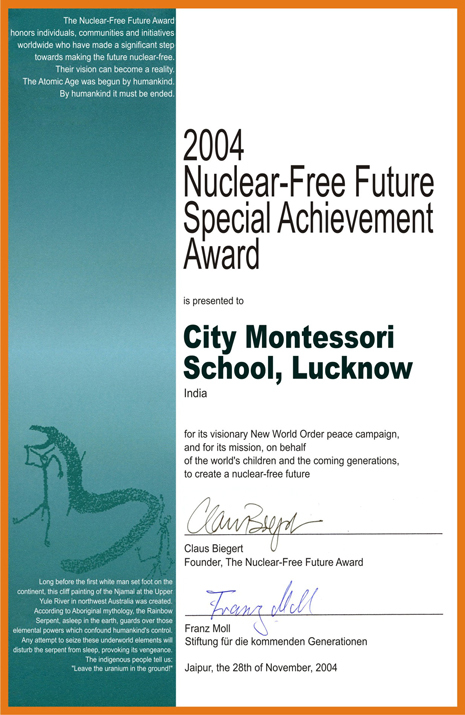 Nuclear-Free Future Special Achievement Award was awarded to City Montessori School as special recognition of its mission to make the future nuclear-free on behalf of the world's children. 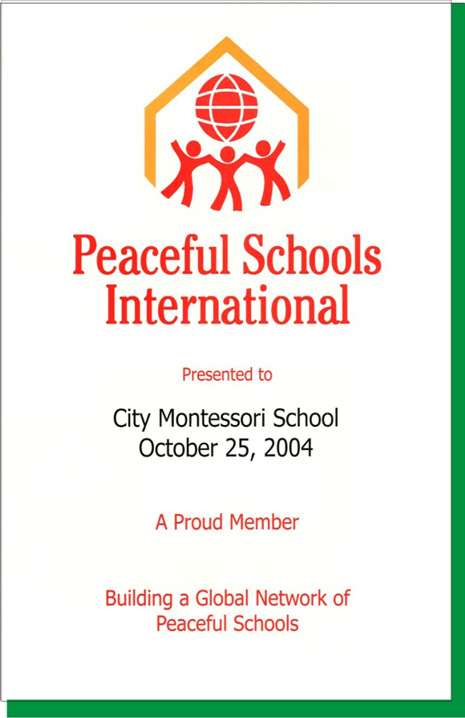 Peaceful Schools International Award 2004 was given by Peaceful Schools International, Canada, to City Montessori School for its contribution in building a Global Network of Peaceful Schools. 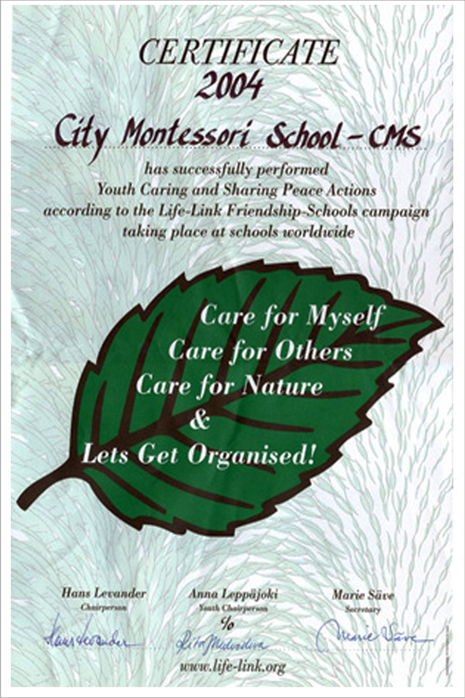 Life Link Campaign Award 2004 was given by Life Link Campaign for CMS contribution to Youth Caring and Sharing Peace Actions. 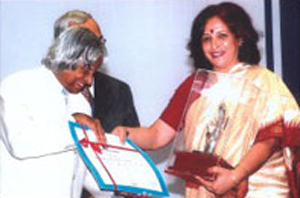 Computer Literacy Excellence Award 2004 was awarded to CMS Gomti Nagar Campus by the President of India, Dr APJ Abdul Kalam, and received by Ms Manjit Batra, Principal, at the All India Prize Distribution Ceremony held at Vigyan Bhawan, New Delhi. 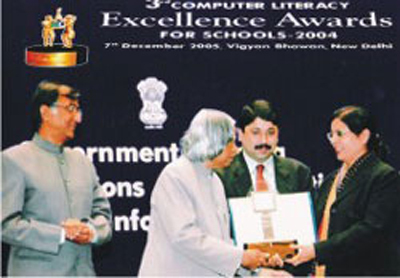 Computer Literacy Excellence Award 2003 was awarded to CMS Kanpur Road Campus by the President of India, Dr APJ Abdul Kalam, and received by Dr (Mrs) V Kamran, Principal, at the All India Prize Distribution Ceremony organised at Vigyan Bhawan, New Delhi. 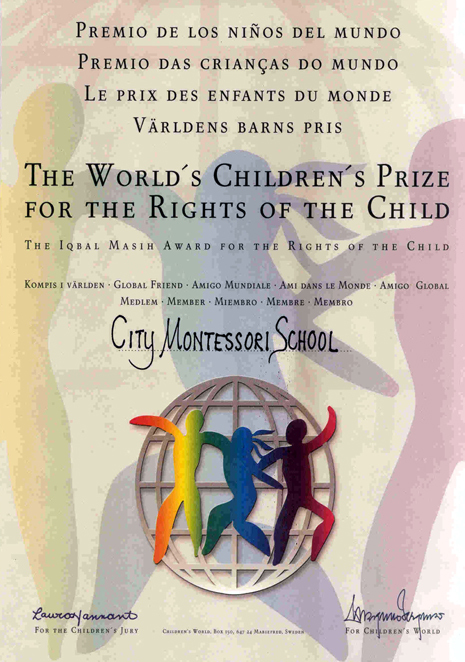 Council for Global Education's Excellence Award 2003 was given to CMS by Islensku Menntasamtokian Ses, the Education Society of Iceland, for Excellence in Academics. 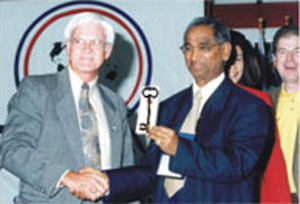 The Key to the City of Georgetown, USA, was awarded to Dr Jagdish Gandhi by the Mayor of Georgetown, Mr Everrete Varney, on behalf of all its citizens for being a ‘true visionary’ in the field of education. 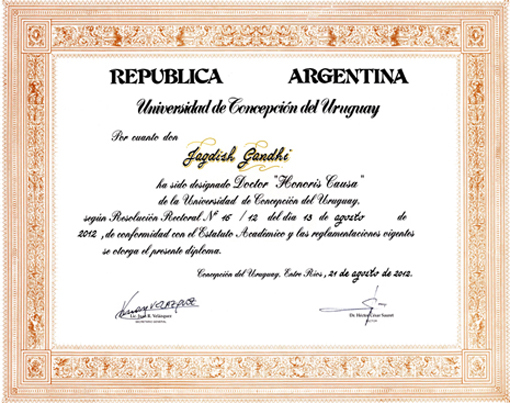 Dr Gandhi has introduced the concept of Quality Control Circles in education and is the Founder-Chairman of the World Council for Total Quality and Excellence in Education (WCTQEE). 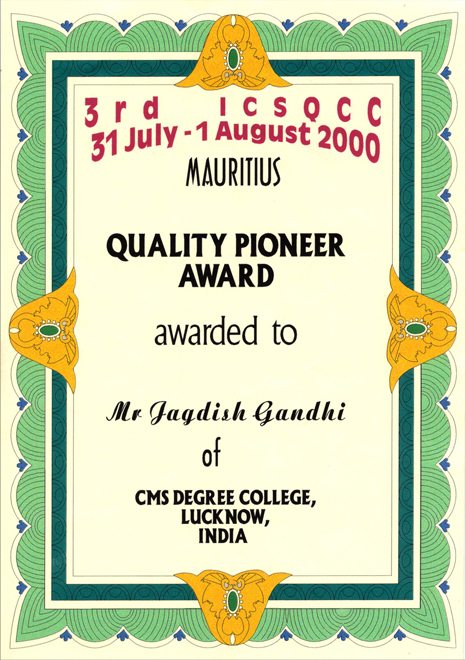 The Quality Pioneer Award 2000 was given to Dr Jagdish Gandhi by HE Mr Cassam Uteem, President of Mauritius, Port Luis, Mauritius, for his pioneering contribution in introducing the concept and practice of Quality Circles (QC) in education. 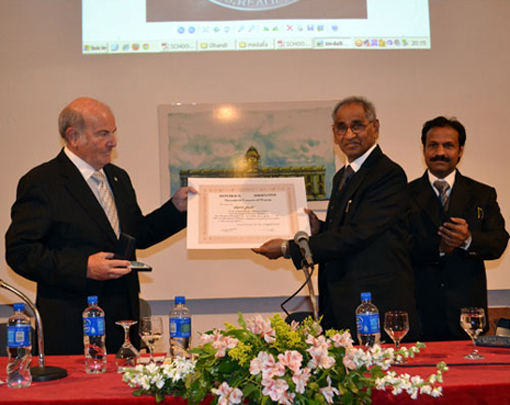 The Ministry of Education of Mauritius subsequently made Student Quality Circles (SQC's) as initiated by CMS compulsory in all government schools of Mauritius. 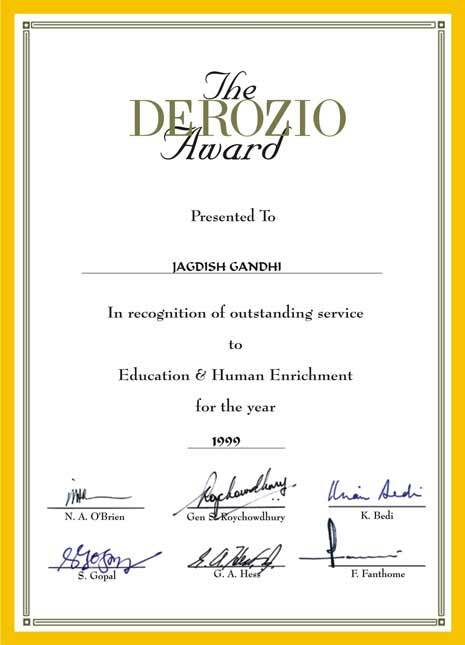 The Derozio Award 2000 was given to Dr Jagdish Gandhi by India's premier Board for education, the Council for the Indian School Certificate Examinations, New Delhi. 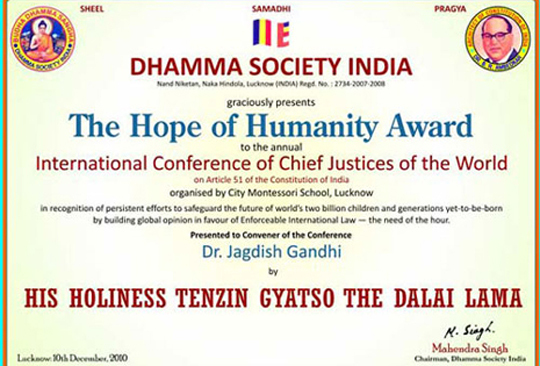 When the Award was set up in memory of the great Indian visionary, educationist and poet, Henry Vivian Derozio, Dr Jagdish Gandhi was the unanimous choice of the Jury and its first recipient in India. 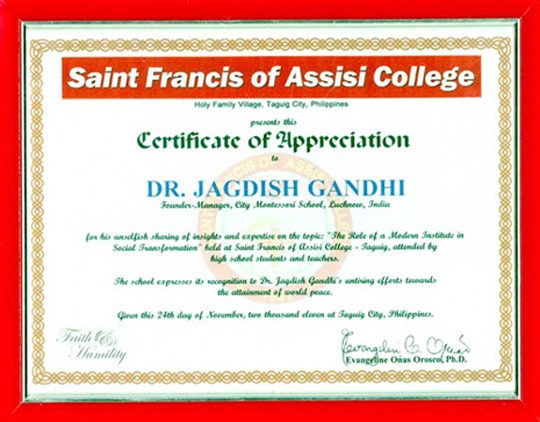 The award was handed to Dr Gandhi by Mr Abdul Halim, Speaker of the West Bengal Legislative Assembly, at a special function held at St Xavier's College, Calcutta. 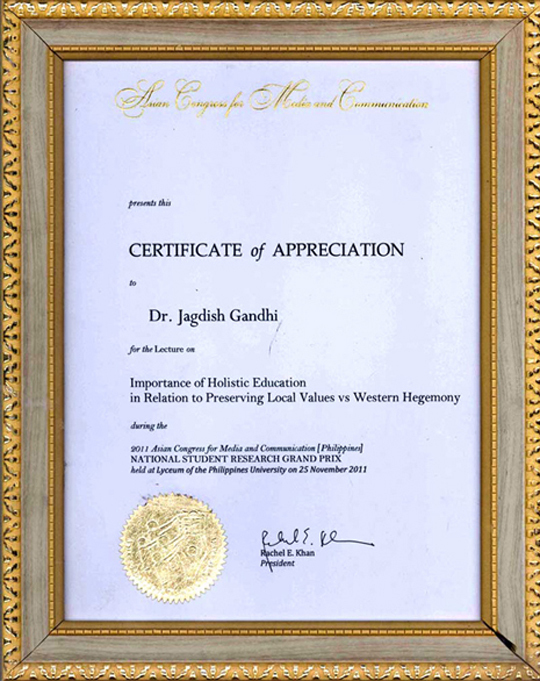 The citation noted that the award was being given to Dr Gandhi for his "Outstanding Contribution to Education and Human Enrichment." 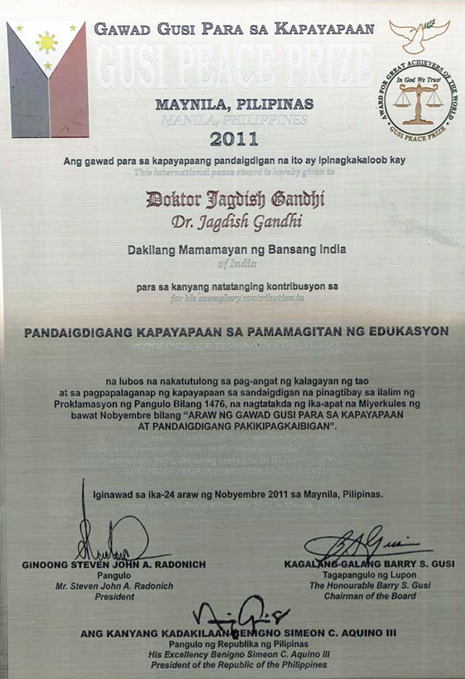 Dr Gandhi donated the cash part of the award back to the ICSE Council for use in the cause of education of poor children. 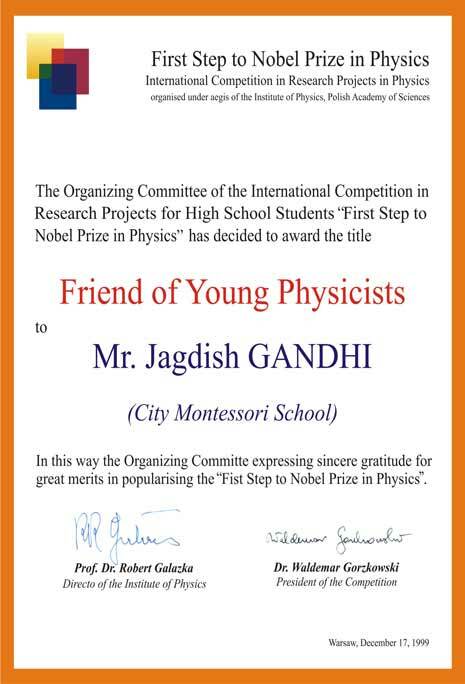 Friend of Young Physicists Certificate 1999 was given to Dr Jagdish Gandhi by the Institute of Physics, Polish Academy of Sciences, Warsaw, for his contributing and promoting interest in physics education among students of High School and Intermediate classes. 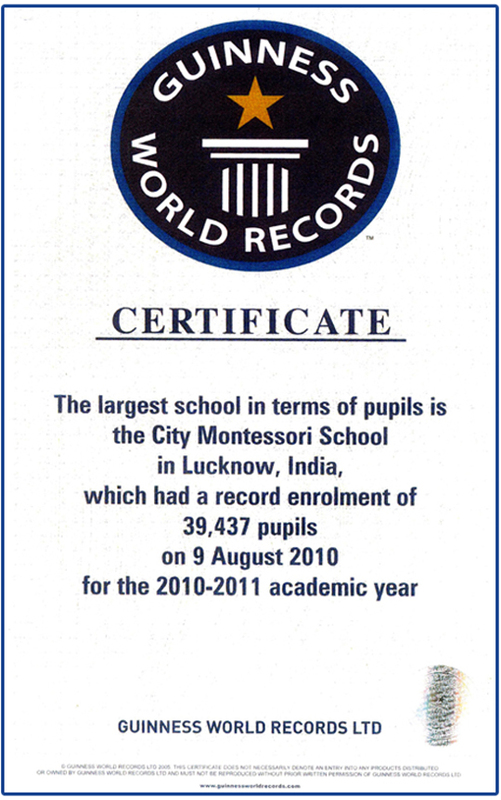 "The largest school by pupils is the City Montessori School, Lucknow, India, which had a world record enrolment of 22,612 pupils in 1999." 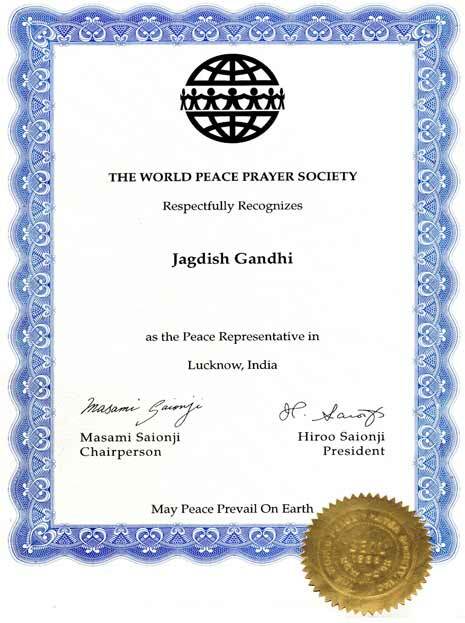 The World Peace Prayer Society in 1988 recognized Dr Jagdish Gandhi as their Peace Representative in Lucknow, India, signed by the Chairperson, Mr Masami Saionji and President Mr Hiroo Saionji.